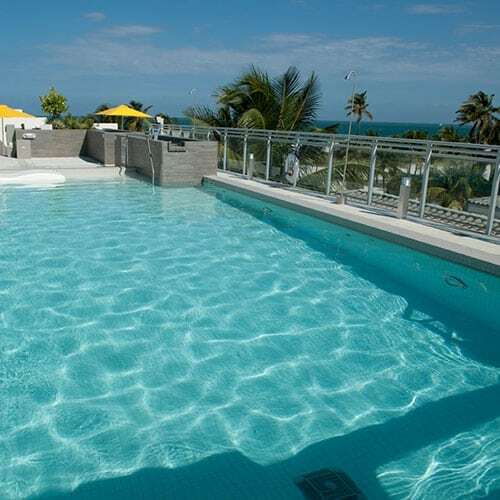 Swim and sun at our oceanside rooftop terrace which features a beautiful swimming pool and terrace, a hot tub, sunbeds, and full-service cabanas. 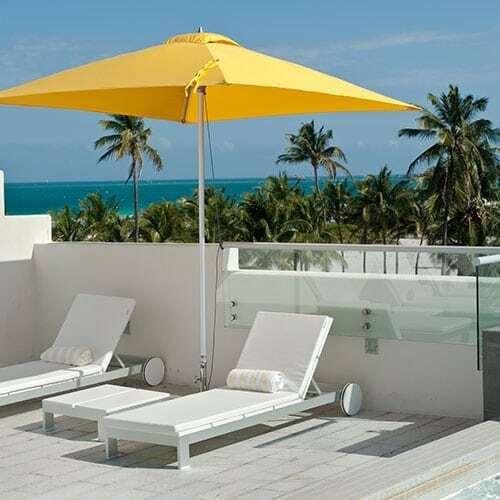 Leslie Hotel rooftop pool is exclusive for guests and offers direct sky views of South Beach, Ocean Drive and the Atlantic Ocean. 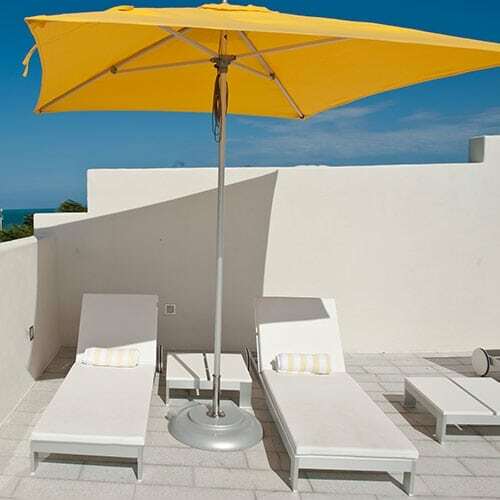 The style, luxury and amenities of Leslie Hotel offer every comfort and convenience one could ask for. 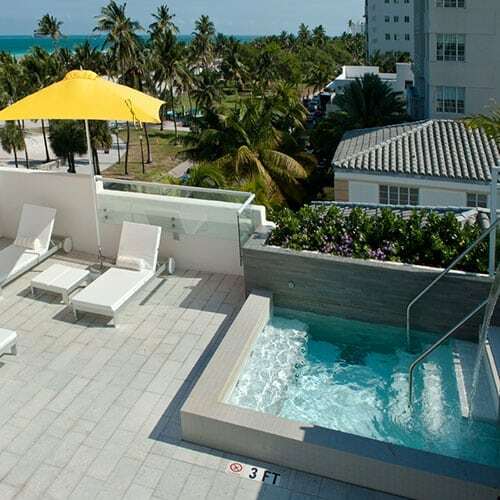 Stay with us and we’ll ensure your Miami Beach vacation is memorable from the moment you arrive. 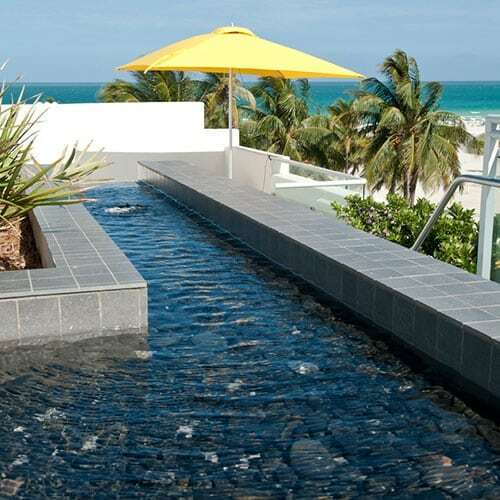 Our private outdoor rooftop pool and spa with terrace is exclusive for our hotel guests and offers beautiful views of Ocean Drive, the beach, and the Atlantic Ocean. 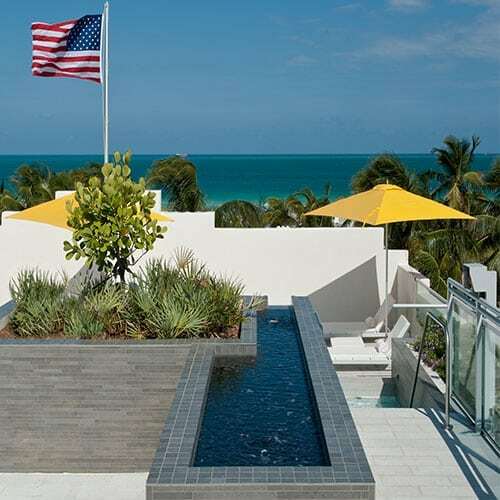 Swim in the pool, sign up for our weekly aqua aerobics class, or enjoy a poolside lunch with a view – all while enjoying the South Florida sun.